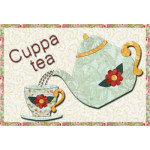 Mix and match blocks from this collection of 270 applique patterns to design your very own teatime theme quilt! This block library includes from traditional to whimsical teapots, mugs and teacups, kettles, pitchers, accesories and more! 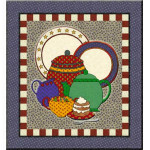 Here's a "tealightful" project to complement your country kitchen decor! If this i..